The uvula, which is the bell-shaped organ hanging from your soft palate at the back of the mouth, is thought to be a product of human evolution. The uvula appears a bit like a hanging grape, and some people mistake it for the tonsils. While no one completely understands the function of this organ, it does play a part in saliva production and in speech. The Department of Otolaryngology, Hasharon Hospital, found that ” the human uvula consists of an intermix of serous and seromucous glandular masses, muscular tissue, and large excretory canals. So, it has both glandular and muscular tissue and even plays a part in the noise made when an individual snores. 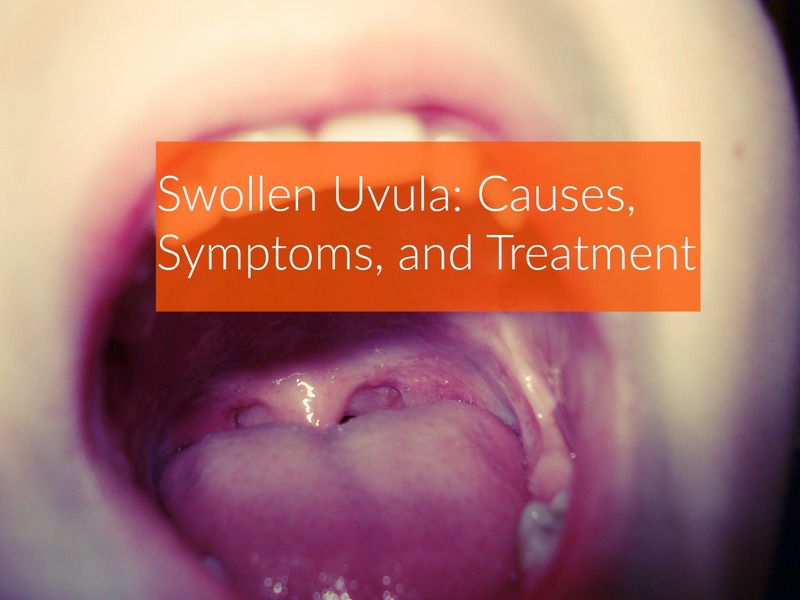 Unfortunately, the uvula has the ability to become swollen, red, and painful, which is known as uvulitis. Since it’s in the back of your at the entrance to the throat, it can be very uncomfortable when it becomes swollen. It is important to understand the potential causes of this problem so you can find the appropriate treatment and get back to feeling good once again. It is fairly uncommon to deal with a swollen uvula, but if it does occur, this issue may cause various symptoms based on the inflammation that occurs around and on the uvula. In many cases, the surrounding tissues and structures also swell and become inflamed. If you are experiencing these symptoms, it’s a good idea to see your physician. However, in some cases you may need to seek immediate medical treatment. Many different conditions may cause a swollen uvula, even though the problem is relatively uncommon. » Allergic Reaction – In some cases, an allergic reaction may cause the uvula to swell. Allergic reactions often cause swelling of the throat and mouth, which may include swelling of your uvula. This could be a sign that you are having an anaphylactic reaction, which is a medical emergency requiring immediate treatment. If you experience quick swelling of the throat and mouth, including the uvula, it is essential to get to an emergency room as quickly as possible. You could require a shot of epinephrine to treat the problem. Serious allergic reactions have the potential to result in death if they are untreated. » Infection – Infections are one of the common causes of a swollen uvula. When infections occur in the throat and other nearby tissues, it often causes the uvula to swell as well. Both bacterial and viral infections may cause this condition and can include tonsillitis, epiglottis, mononucleosis, and strep throat. » Trauma to the Uvula – While it is rare, it’s possible for trauma to the uvula to occur, resulting in the swelling. Eating foods that are too hot could burn the uvula, causing some swelling in the area. » Genetic Abnormalities – Some genetic abnormalities, such as cleft lip/palate, may result in abnormalities to the uvula. An elongated or enlarged uvula could also be inherited and may be more susceptible to problems with swelling. If genetic abnormalities lead to troublesome symptoms, surgical removal of the uvula may be recommended. » Excessive Dehydration – Excessive dehydration, particularly of the mouth, has the potential to result in a swollen uvula. Drinking too much alcohol and smoking may result in excessive mouth dryness that results in uvulitis. » Hereditary Angioneurotic Edema – Hereditary angioneurotic edema, a rare genetic disorder that is a result of a gene mutation, can cause attacks that result in swelling of various areas of the body. It has the potential to cause swelling of the uvula as well as other areas of the body. In most cases, people who suffer from this disorder have their first attacks while they are still children. » Surgical Side Effects – It is possible for surgical procedures involving the throat, such as a tonsillectomy or an adenoidectomy, to result in some side effects like a swollen uvula. It is very common for the uvula to be swollen and sore after a tonsillectomy and other surgical procedures involving the throat. In some cases, a swollen uvula will go away on its own or with the use of home remedies. However, if the symptoms become extreme or they do not go away, it’s a good idea to see your physician for treatment. The exact treatment chosen will depend on the root cause of the problem. • Antibiotics – Since a swollen uvula is often caused by an infection, antibiotics may be needed to treat the underlying infection. The type of antibiotic prescribed will depend on the type of infection you are dealing with. 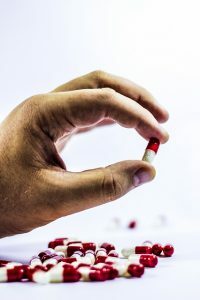 Never take old antibiotics and if your doctor prescribes an antibiotic to treat your uvulitis, make sure that you take all the pills prescribed to ensure you get rid of the infection completely. • Steroids – In some cases, your swollen uvula could be caused by an allergic reaction. When this occurs, steroids may help to reduce the redness, inflammation, and pain, according to Healthcare-online. IV antibiotics may be used or a physician may prescribe oral steroids that you take over the course of several days. Always take steroids as directed. • Antihistamines – For allergic reactions that are not severe, antihistamines may work to reduce the reaction enough to effectively treat the problem with a swollen uvula. It can reduce the swelling and itching of the uvula. Some people find it effective to take an OTC antihistamine immediately if they feel the uvula and surrounding tissue beginning to swell due to an allergic reaction. • Epinephrine Injections (in the case of severe allergic reaction) – When severe allergic reactions occur that result in the swelling of the uvula, throat, mouth, and surrounding tissues, emergency treatment is needed. Epinephrine injections are often needed to immediately deal with the swelling. In some cases, adrenaline injections may also be used in emergency situations as well. • An increase of Fluids – If the swelling of the uvula is occurring due to dehydration and a dry mouth, then an increase in fluids may be recommended. Drinking plenty of water can help to rehydrate the mouth and the body, offering relief to the swelling, inflammation, and pain that you are experiencing in the uvula. • OTC Anti-inflammatory Medications and Painkillers – Sometimes it is simply a viral infection that is causing the uvula to become swollen, red, and painful. 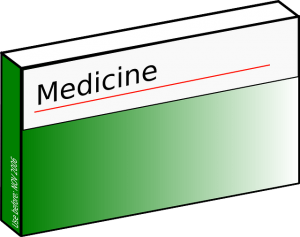 Antiviral medications are available and may be prescribed in some cases. However, if the problem is caused by a viral infection, over the counter anti-inflammatory medications and painkillers often prove helpful. Anti-inflammatory medications like ibuprofen can help to reduce the swelling and any fever associated with the problem. Acetaminophen is also an effective fever reducer and can help to reduce some of the pain that comes with uvulitis caused by a viral infection. However, it is important to ensure that you only take these medications as directed on the package to avoid serious side effects. Medical treatment may be needed in some cases for a swollen uvula. However, if it is not causing problems with breathing or other severe symptoms, home remedies may be enough to treat the issue successfully. » Remedy #1 – Salt Water Gargle – One of the best ways to treat your uvula at home is to create your own salt water gargle. Add some table salt to a glass of warm water and gargle the water, being careful to avoid swallowing the salt water. Gargling regularly with salt water can help to reduce some of the inflammation and pain that you are experiencing. » Remedy #2 – Eat Ice Cold Foods – Eating some ice cold foods or drinking ice cold water may help to relieve some of the symptoms. Sucking on ice chips may prove helpful, and popsicles often feel good and help relieve the pain. Drinking ice water may also prove soothing. » Remedy #3 – Warm Honey Water – Mix a tablespoon or two of honey with a glass of warm water and mix well. Drink the mixture while warm. The honey in the water is antibacterial and can help to treat a bacterial or viral infection causing this condition. Drinking the warm honey water may also help to relieve some of the swelling and pain. Eating a teaspoon of honey plain may also prove helpful, reducing the irritation and swelling. » Remedy #4 – Increase Vitamin C – You can take a supplement of vitamin C or eat foods that contain a lot of vitamin C to increase your intake while dealing with this health issue. This is especially helpful if you think the problem is being caused by an underlying infection. » Remedy #5 – Stop Smoking and Drinking – When you are dealing with uvulitis, smoking and drinking will only make the problem worse, particularly if they are partially responsible for the condition in the first place. If your uvula is swollen, you should stop smoking and drinking to help alleviate your symptoms. Talk to your doctor if you need help to stop smoking. » Remedy #6 – Turmeric Water – Another home remedy to try to soothe the symptoms of a swollen uvula is turmeric water. Add ½ teaspoon of turmeric to eight ounces of water with a bit of ice. Mix well and allow it to sit for several minutes. Drink all the water. Turmeric is known for having anti-inflammatory properties and can help to reduce the inflammation of the uvula. Although uvulitis is not a very common problem, it can prove to be very uncomfortable for those who experience a swollen, inflamed uvula. Many different conditions have the ability to cause this problem, and in most cases, you will need to find the root cause of the problem to treat it effectively. The good news is that you can often treat this problem at home with good home remedies. In most cases, a swollen uvula will go away in a few days. However, it is always important to contact a physician if symptoms do not disappear in a few days. Seek medical attention immediately if you have excessive swelling of the mouth, uvula, and throat or if you begin to experience difficulty breathing along with the swollen uvula. My Arms Feel Heavy and Weak, What Could Be a Cause of That? Flounder: What Does it actually Taste Like? Kimchi: What Does it Actually Taste Like? © 2019 - The Healthy Apron. All Rights Reserved. Disclaimer: All content on this website is intended for informational purposes only. The Healthy Apron does not provide any medical advice,treatment or diagnosis. Never delay seeking professional medical advice because of something you have read on this site! Please read our full disclaimer before using this site. Earnings disclaimer: When you buy certain products from some of the sites which we link to, The Healthy Apron receives a commission. The Healthy Apron is a participant in the Amazon Services LLC Associates Program, an affiliate advertising program designed to provide a means for us to earn advertising fees by advertising and linking to amazon.com and affiliated sites.